On the day the world recognized International Holocaust Remembrance Day and the White House issued a statement that ignored six million murdered Jews, the president signed an executive action that will ensure the deaths of innocent people. The order triggered protests and chaos as different federal officials in different airports struggle to interpret and apply the order, issued with little guidance. The order bans Syrian refugees indefinitely. The ban doesn’t extend to countries where Trump has ongoing business interests. No provisions were made for legal residents with green cards or those in the process of immigrating, which includes years of investigations and background checks. Trump said the goal is to screen out “radical Islamic terrorists” and to give admission priority to Christians. The executive action is called: “Protecting the Nation From Foreign Terrorist Entry into the United States.” The baseless nonsense is simply anti-Muslim bigotry. Zero terrorists have come to the United States from Syria. Babies, children, will die, because the U.S. won’t accept them. A Syrian child in a refugee camp might grow up to be a terrorist. A refugee child in the U.S. will never be a terrorist. Immigrants aren’t refugees. Refugees are fleeing a dangerous situation at home. In the case of Iraq, the fallout of a war the U.S. started. Refugees are vetted by the Department of Homeland Security, the FBI, and other federal agencies. Saudi Arabia, a Muslim country where the president has business partners, supplied 15 of the 19 9-11 attackers. None of them were refugees. The ban claims to address a problem that doesn’t exist. 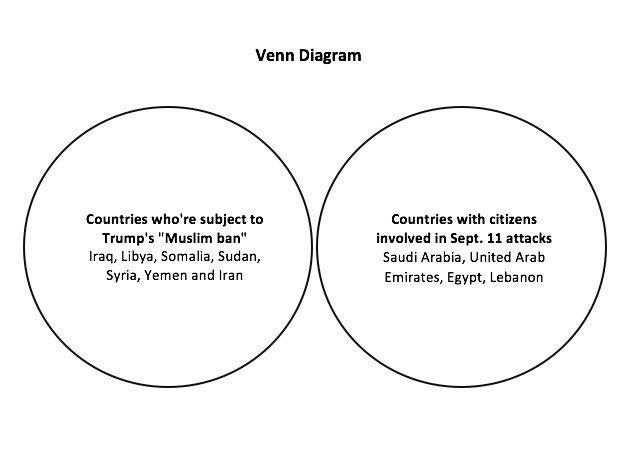 There are zero facts to support this ban. The Vice President opposed the ban, 18 months ago. But that was when he was governor. Since then, he’s sold his soul and his morals for the vice presidency and 30 pieces of silver. This isn’t about protecting the United States — each year more Americans are killed by toddlers with guns than by native born American Muslims. 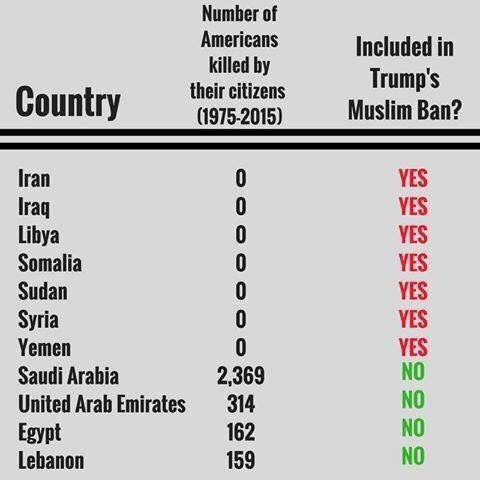 The ban is counter to who the United States is as a nation. This is counter to who Jesus calls Christians to be. If you support banning innocent children from entering the greatest country in the world, then the USA is no longer the greatest nation. In 1939, around 900 Jewish refugees reached the shores of the United States, seeking sanctuary from the Nazis. The U.S. refused them entry, they returned to Europe and 254 of them were murdered by the Nazis. Christians today have the opportunity to do the right thing and demand refugees be given sanctuary. Or we can turn our backs on the message of Jesus, turn our backs on children in need and tell ourselves we did it to protect our country from a fictional threat. This entry was posted in Civil Rights, in the news, Uncategorized and tagged Alt-right bigots, Donald Trump, Holocaust, Muslim ban, Stephen Bannon, syrian refugees. Bookmark the permalink.